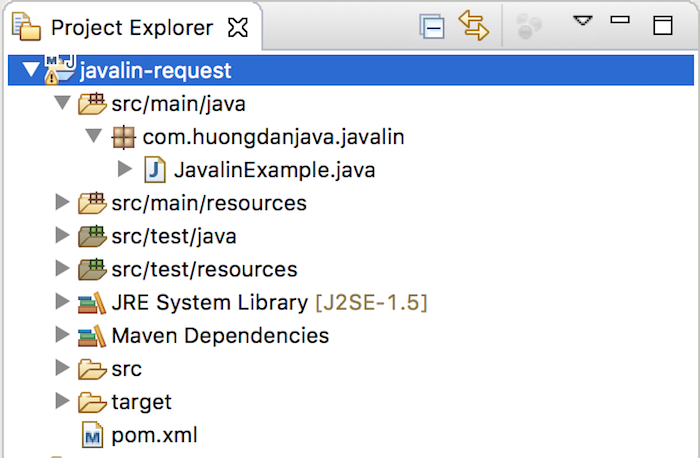 I introduced you to Javalin, in this tutorial we will learn more about how we will handle requests in the Javalin framework! As I said, to handle request in Javalin, we will use its Functional Interface Handler. The Handler class only has a handle() method with a parameter of a Context object, and this Context object will keep all the request and response information for a request. In the above code, I have defined a path parameter name, to get this value, we will use pathParam() method of the Context object. Similar to the queryParam() method, we can also validate the user’s request data using pathParam() overload method. With the body part, we can validate data using the bodyValidator() method! Usually, when implementing RESTful Web Service applications, we often implement CRUD APIs (Create, Read, Update, Delete) and these APIs often start with the same context path, “/user” for example. To use the above code, you will need to implement the Handler interface for the post(), get(), delete(), patch() methods in another class and in addition you need to import these static methods from the class io.javalin.apibuilder.ApiBuilder! One more thing of Javalin in the handling request that you need to know is that we can use Javalin before() and after() methods to add processing before handle request and before return response for any request or all requests.